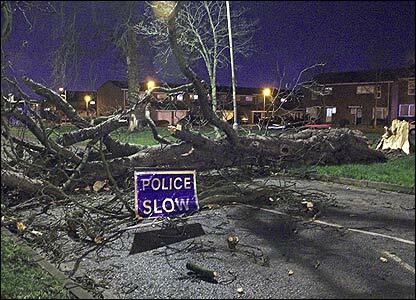 BBC News website readers are sending more images of storm damage across the UK. 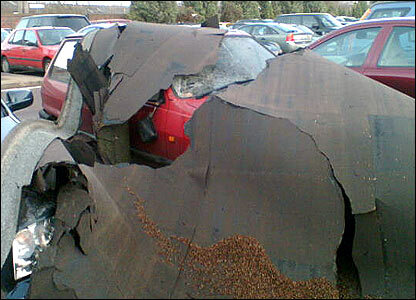 Alay Patel took this of his "pride and joy" hit by a wall at his work car park in Twickenham. The emergency services have had a lot to deal with, as captured by a friend of Ian Goddard from Godalming. The picture was taken in Walnut Tree Close, Guildford. "My main road home was completely cut off by this large old tree, sadly felled by the sheer strength of the stormy winds," says Jools in Borehamwood, Hertfordshire. 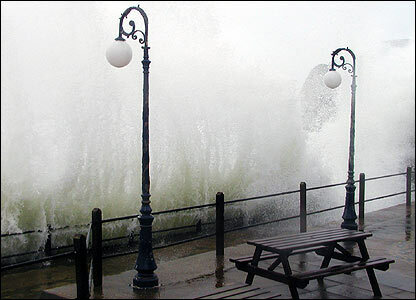 Seafronts were best avoided as the storms took hold, as witnessed at Freshwater Bay, Isle of Wight, by Ian Trainor of Yarmouth. 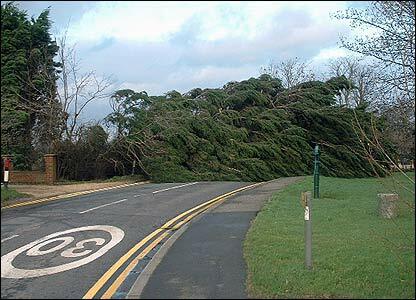 A bus driver from Leeds sent in this picture of the road in front of him in Woodlesford. 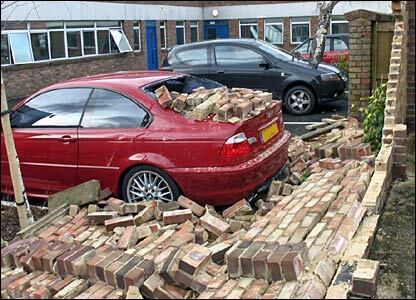 "Luckily for me and my passengers, my brakes worked," he says. 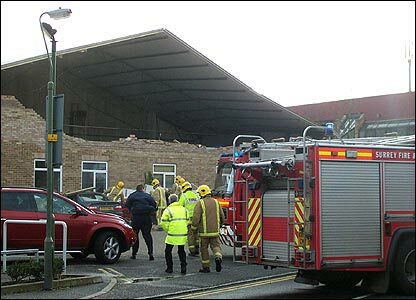 "At work our roof flew off our building and landed on two cars parked in Stowmarket train station behind us," says Jen Baxter, who sent in this image. 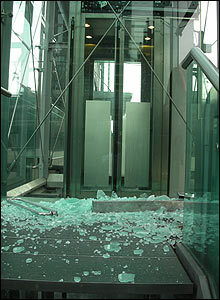 "A gust of wind sent this door into the glass wall behind, and blew it to pieces," says George Petrov, of London's Canary Wharf, who adds smokers below were showered with glass. 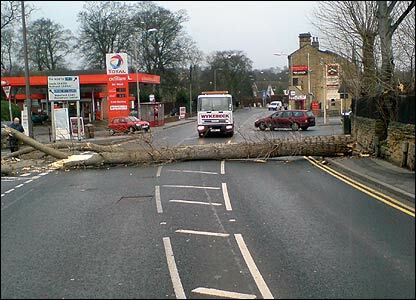 "This is what you call a speed hump," says Robert Cattaway of Epping Green, Essex, who sent in this image of yet another tree felled by the winds.